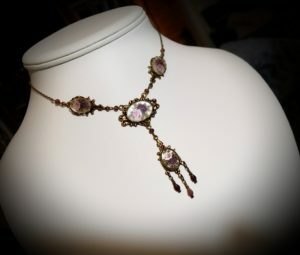 Making Vintage Victorian Steampunk Style Jewelry is our passion! I love these two New Choker Designs. 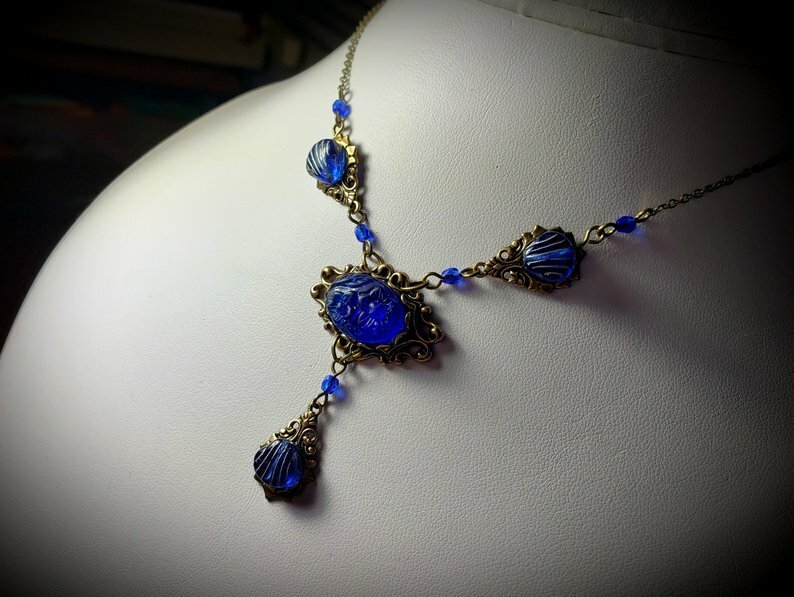 The Blue Pressed Glass Flower Choker is a replica of a lovely Antiqued one that I purchased some years back. I’ve never come across any like it. This is as close as I’ve seen to duplicating it. I love it so much, I’m hoping to recreate it in Blood Red, Purple and possible Blue-Green. I’m working on a full photo shoot of this Burgundy Rose Cameo Choker. This one is a Special Favorite of mine too, because I Love Roses! And these Rose Cameos are especially lovely, having a mirror reflective interior, and a frosted outer edge that reflects the light beautifully! I will be creating listings for them soon. ← Women are like Old Houses, the Older they get, the more Paint they need! It is very nice! I think this style is very much on the upward trend with the latest fashions! Women are like Old Houses, the Older they get, the more Paint they need! Slave Bracelets are Latest Rage! Copyright © 2019 Titanic Temptations Jewelry. Powered by WordPress. Theme: Spacious by ThemeGrill.